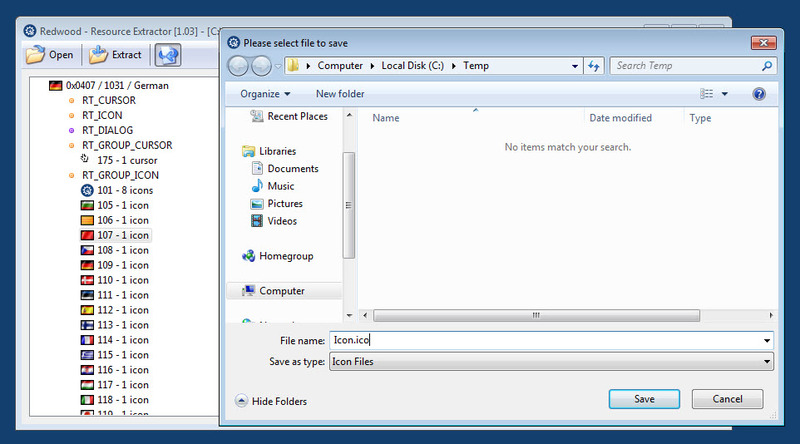 This is a small program to open, explore and extract resources from EXE files. Also, it supports DLL, OCX, CPL files. You can use it very simple. 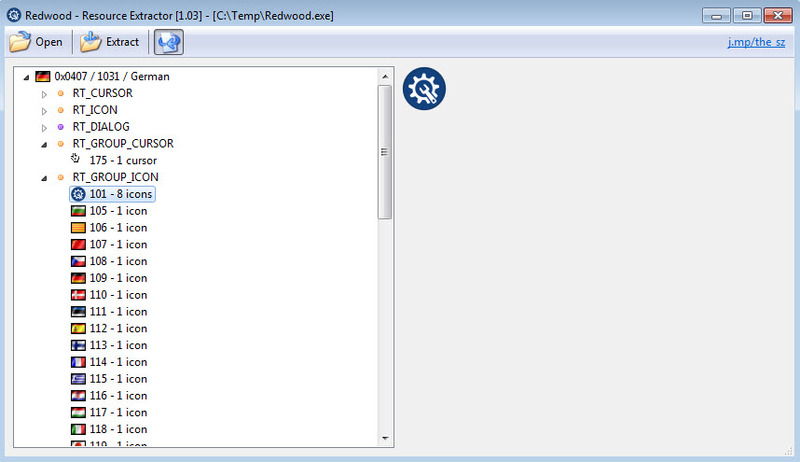 Just open the file and the program will display in a tree view all resources such as icons, cursors and others. IF you click on a file, you will see a preview on the right side. Furthermore, once you select an icon, you can save it onto your desktop. Redwood is available as free download for Windows 32-bit and 64-bit. Redwood is 100% clean and safe to install. You can see the test results here. Search and replace in files by regular expression or text.